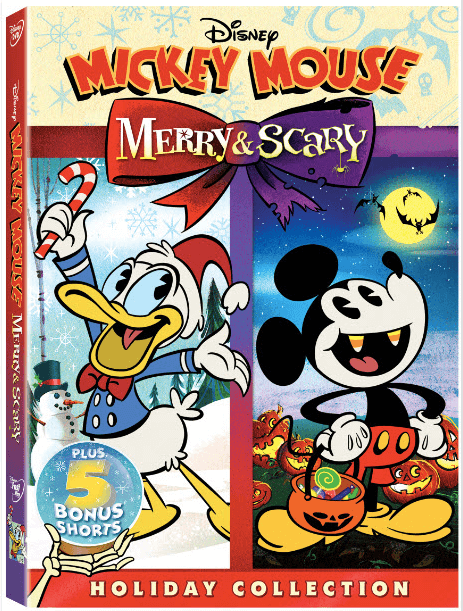 Invite Mickey and Donald into your home as they bring laughs and merriment to not one, but two holiday seasons! For Halloween, Mickey has tricked out his house like a “tomb, sweet, tomb” and along with his pals, Donald and Goofy, plans to tell hair-raising Halloween stories! However, his attempt at being scary falls flatter than a pancake. Can Mickey conjure up a truly terrifying tale before the stroke of midnight? “Mickey Mouse: Merry & Scary” will be available August 29 wherever Disney DVDs are sold. Could a sixth Pirates film bring back fan-favorite swashbuckling villains? Older Older post: Could a sixth Pirates film bring back fan-favorite swashbuckling villains? Newer Newer post: Experience ending thrills of the Euthanasia Coaster – The ultimate last ride?